The Brewery Industry has undergone considerable change over the last half century. Traditionally, regional breweries supplied their chain of pubs with beer but gradually many were taken over by larger national companies who often switched production away from local areas. It led to some disquiet among people who thought their favourite beer had changed, and in some cases, it disappeared. The Campaign for Real Ale (CAMRA) was formed in response to this trend by four men in the North West in 1971 and their efforts certainly deserve praise. The consumer has won this particular battle and there are over 180,000 members today. Coming to the present day, micro-breweries continue to sprung up to give drinkers plenty of choice, and pubs are no longer tied to particular breweries most of the time. It means real ale in readily available throughout the Country, and that includes Whitby of course. Some of those CAMRA Members are probably from Whitby and surrounding areas because the Town has some very good ale. 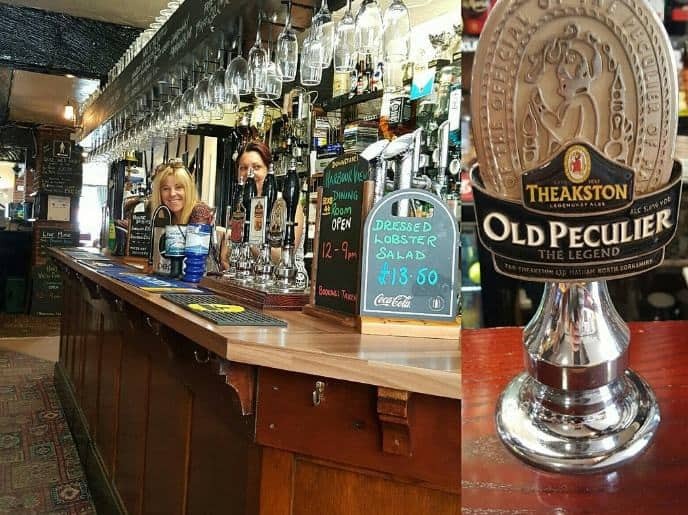 Here are some real ale pubs in Whitby to try while you are there. The building dates back to the 1600s and as such has a Grade II listing. It is in Church Street whose cobbles march the age of the pub which is one of the oldest in Whitby. Over the years, the building has been a funeral parlour, a spirits’ warehouse as well as a brothel. The Black Horse changes its real ales on a regular basis, offering five different ones as well real cider and speciality cider, Belgian beer, bottled and draught. Snacks and light meals add to the overall quality of the place. The ideal time to drop into this new pub is when you are visiting Whitby Abbey. There is a selection of beers and you may well have a thirst if you have climbed the 199 steps up to the Abbey. It is a small place with only a capacity of a handful of people. The overflow simply ends up in the brewery itself and in good weather just the courtyard. These beers are brewed just through the door that leads to a viewing area of the brewery. The Waiting Room is even smaller, the Town’s first micropub that does not bother with spirits or lager. There is no TV or music but dogs are welcome. It offers simple enjoyment in its 6 square yards and plenty do so at times, you may not even be able to get in. It won a local CAMRA Award, Cider Pub of the Year and Spring Pub of the Season, both in 2017. This pub is at the bottom of the 199 steps below the Abbey. The building’s history dates back to the Doomsday Book in the Middle Ages as and has been an ale house and pub for around 150 years. The walls are full of Whitby history. 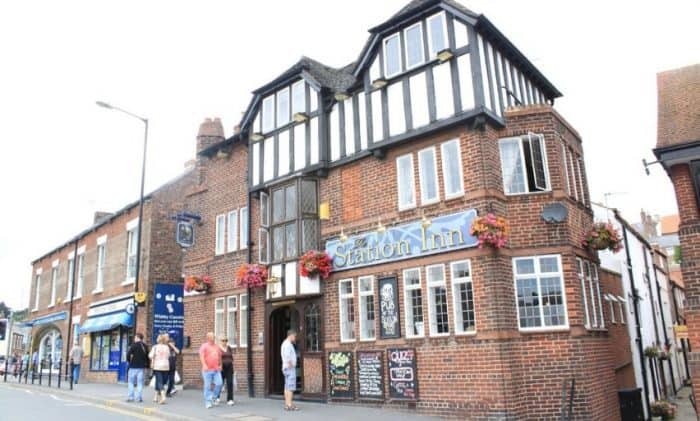 The traditional atmosphere is great as you sample its range of real ales and pub grub. This cosy little pub has just a single room. It is on the eastern side of the river fairly close to the Captain Cook Museum. There is regular entertainment in the form of folk and Irish music sessions. It was opened a few years before the outbreak of World War II and it celebrates Cook’s first voyage to the other side of the world. The real ale on offer changes regularly to the extent they estimate almost 150 different real ales are on offer in a single year. Typical Yorkshire ‘’pub grub’’ is sold but the landlord does allow customers to bring in their own fish and chips. This traditional pub in Flowergate and has Cask Marque accreditation. There is a cask day every Wednesday with five different ales and a cider on sale at the same fixed price. Customers can buy a card that gets them a free pint for 10 bought. There are plenty of good wines and spirits with some live music during the week and enjoys two festival music weeks each year. The Station Inn is a place that specializes in guest ales and that reputation attracts customer from throughout the region. It is often busy with live music regularly held in the evening, a friendly atmosphere enjoyed by young and old alike. 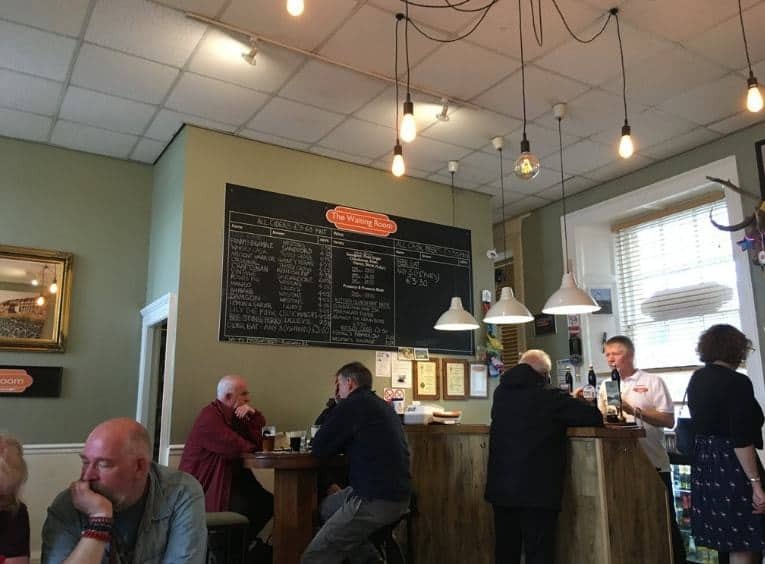 The real ales are all sourced from Yorkshire with the majority being Whitby’s best; Smugglers’ Gold and Jet Black are examples while others come from Keighley, Timothy Taylor, or Osset. You can even stay in one of the Inns three guest rooms if the wish. You can relax in this Church Street pub and enjoy the fine views over the harbour from below the 199 steps to the Abbey. There is a great atmosphere in the bar with its beamed ceilings and exposed brickwork. and this place is proud of its appearance in the Good Beer Guide. Not only does the Board Inn sell food but it also has rooms which you can book if you want to be in the heart of Whitby. This pub attracts a broad cross-section of customers, providing everything for sport TV, live music, food and excellent ales. The bar has not changed in years and provides a traditional local atmosphere with a real fire in the winter. Situated on East Cliff, early evening is a great time here, and stay until the sun sets over the harbour. There is a pleasant outside seating area. Saltwick Nab is a regular and the landlord always has 2 guest beers as well. A traditional pub in Hoggersgate, The Star sits back from the quayside and offers a good range of ales at good prices. It is never too busy but there is always a nice atmosphere with friendly landlord, landlady and locals. There’s no food and it is dog-friendly. Loving these pubs? Pin it!